National Museum of American History Receives Archival Materials Related to the History of The Academy of Washington, D.C. The Smithsonian’s National Museum of American History received a donation of archival materials from the board members of The Academy of Washington. The collection of 16 boxes containing photos, program books, newsletters and organizational history will be housed in the museum’s Archives Center. The Academy was a leading private organization in the Washington, D.C., metro area presenting, mentoring and championing female and male impersonation in the nation’s capital for 54 years. Originally known as Academy Awards of Washington, it was founded by Alan Kress, a local female impersonator, known by his stage name of Liz Taylor, and four leading members in 1961. It was led for more than 40 years by Carl Rizzi, whose stage name was Mame Dennis. When it disbanded in October 2015, it was the oldest continuously performing drag organization in the country. “The collection expands the breadth of the museum’s entertainment and LGBTQ collections and adds another component to how these artifacts document American history and experience,” said Bob Horton, chair of the Archives Center. 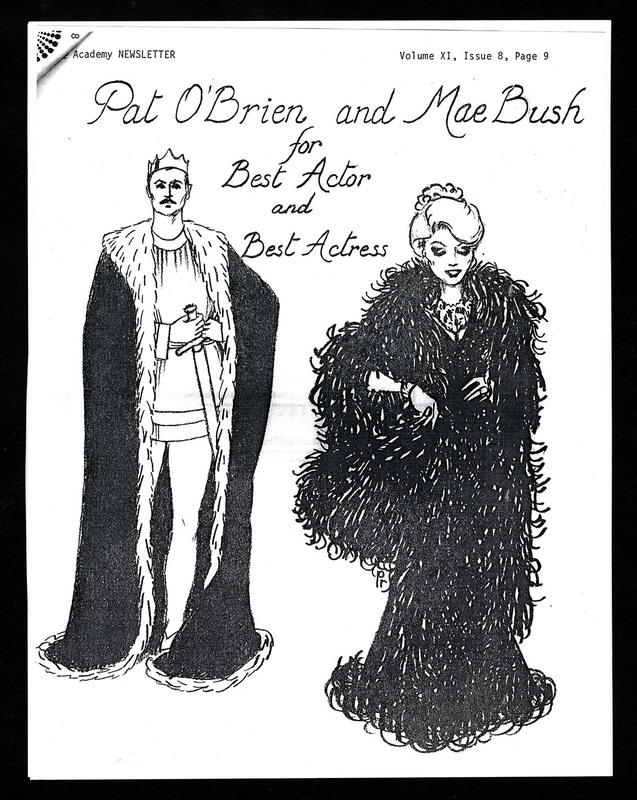 The collection includes programs from 54 years of “Golden Boy” awards (formerly known as the Oscars, a take on the Academy of Motion Picture Arts and Sciences), the Miss Gaye Universe (D.C.) and Miss Gaye America (D.C.) pageants, the events of member houses and all of the performance events of the organization, as well as internal newsletters, photos and organizational history. The Academy created an array of awards and special events that drew audiences from across the metropolitan area. It also was a leader in fundraising for local gay community organizations, especially for HIV/AIDS causes. Academy members, who eventually totaled nearly 2,000, created their own “Helping Our Own People” fund in the worst days of the AIDS crisis to provide funds to members affected by the virus. The National Museum of American History’s LGBTQ collections date back to the 19th century. The archival collections are rich in ephemera, oral histories, photographs, posters and entertainment publicity materials. The museum has mounted a number of LGBTQ history displays over the years, including two marking the 25th and 40th anniversaries of the 1969 Stonewall riots in New York City and a showcase exhibit on the 30th anniversary of the emergence of the HIV and AIDS epidemic. Through incomparable collections, rigorous research and dynamic public outreach, the National Museum of American History explores the infinite richness and complexity of American history. It helps people understand the past in order to make sense of the present and shape a more humane future. The museum is continuing to renovate its west exhibition wing, developing galleries on democracy and culture. The museum is located on Constitution Avenue N.W., between 12th and 14th streets, and is open daily from 10 a.m. to 5:30 p.m. (closed Dec. 25). Admission is free. For more information, visit https://americanhistory.si.edu. For Smithsonian information, the public may call (202) 633-1000.